Alamo Drafthouse and Dogfish Head Craft Brewery are proud to announce the return of the Off-Centered Film Fest (OCFF). Now in its eighth year, OCFF is an epic three-day celebration of craft beer, delicious food and off-centered films for off-centered people. This year, it all revolves around the theme of "Yacht Rockin'," paying tribute to radical nautical times in cinema. 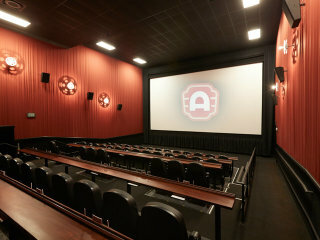 Visit the Alamo Drafthouse website for the full schedule. OCFF will help further the great work of and help to benefit The National Wildlife Federation.